A cousin of mine will be tying the knot this coming April 2012. They will have a spring wedding in the US. It is very impossible for us to be there but she wants us to be a part of their special day. 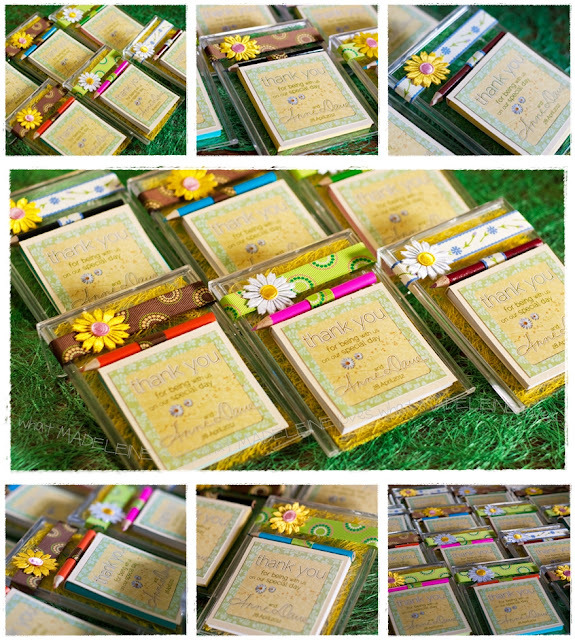 So she asked me to make her wedding favors, 100% from the Philippines and 100% made by us. At least through the favors, our presence will still be felt, hehehe. 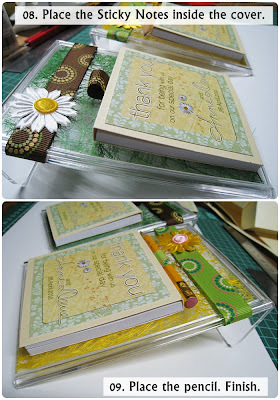 So this is what I made for her and her future hubby, and I am very glad they really like it. Inspired by this and this and this! I made 85 pcs. of Acrylic Stand Sticky Notes Holder, which is refillable. It also comes with a pen holder. I added a native touch, by inserting a Sinamay (Abaca Fiber) inside the Acrylic --- a very challenging thing to do, hehehe. But, patiently, I finished all. Want to make the Acrylic Stand Sticky Notes Holder? Acrylic Card Stand, Cross Grain Ribbon, Board (for the Sticky Notes Cover), Fabric Flower (for Decor), Sinamay , Pencil and Sticky Notes. Sizes are not specified because I will leave it up to you. For adhesives, I used Hot Melt Glue, Elmer's Glue and Double Sided Tape. 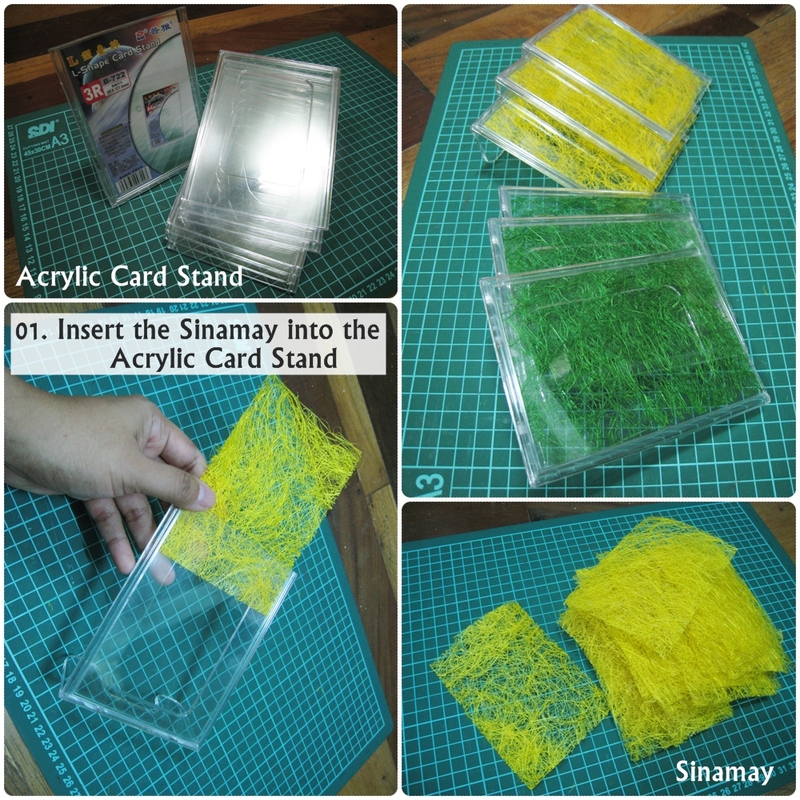 Cut out Sinamay according to your Acrylic stand size. I used the paper that comes with the stand as template. 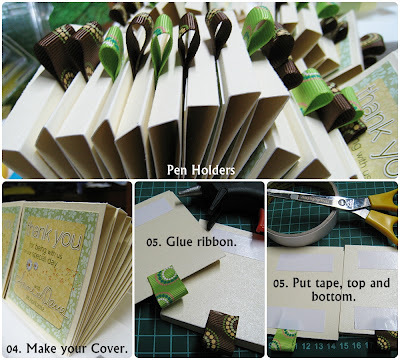 The size of the ribbons for pen holders depends on the pen you are going to put. 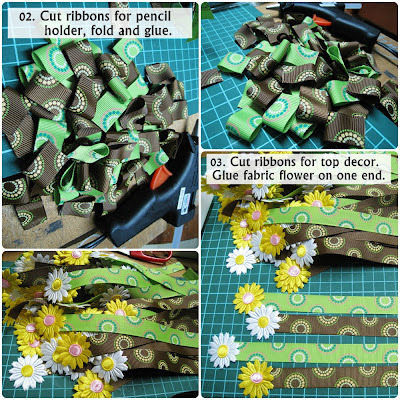 I used Hot Melt Glue for the ribbons and the fabric flower adhesion. The cover is made of board and I pasted a Thank you message in front of it. I used hot melt glue in putting the ribbon to the board. Double sided tapes were placed at the back ready for putting the board cover into the frame. 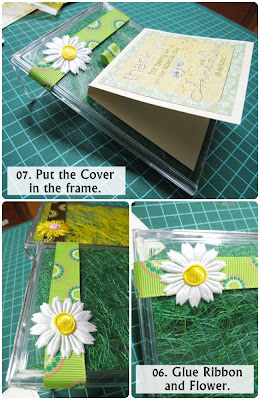 For the ribbon with the fabric flower, I used hot let glue to adhere it into the frame. After putting everything in the frame, you are done. Hi khon :) thanks.. Sa Kaking Parkmall ko palit, maoy kinabaratohan nga akong nakit an, hehehe. 3R na akong gamit, pero naa pay daghan sizes didto. Oh what a coincidence, I also made something like this for Christmas heheheh. :)The acrylic case is a nice touch I haven't thought of that.